Business cards are printed on premium 16 pt. card stock. 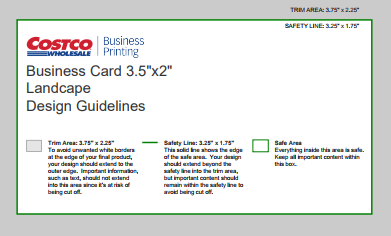 Orientation: Create Your Own, Upload Your Own and most Costco design templates are available in horizontal or vertical orientations. Finishing: All business cards feature UV coating on the front and a matte finish on the back.